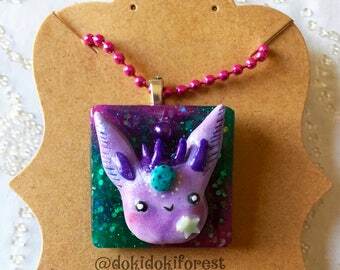 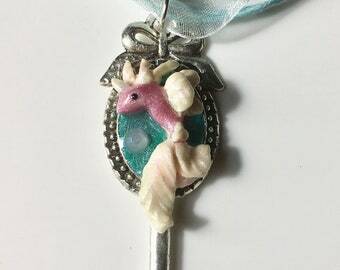 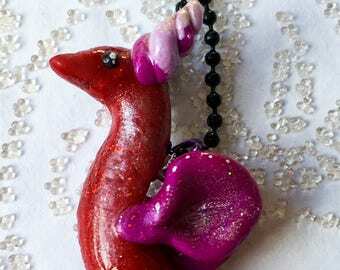 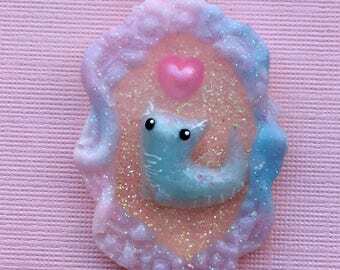 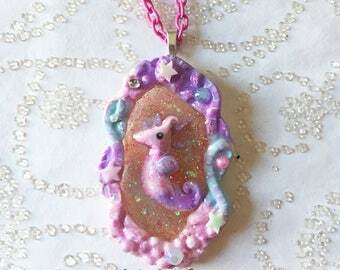 Here is a little cute magical critter on a glittery heart that you can wear wherever you go! 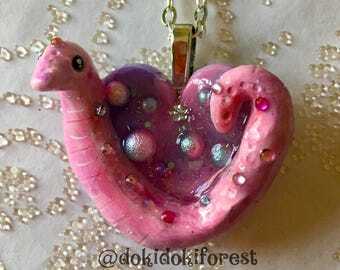 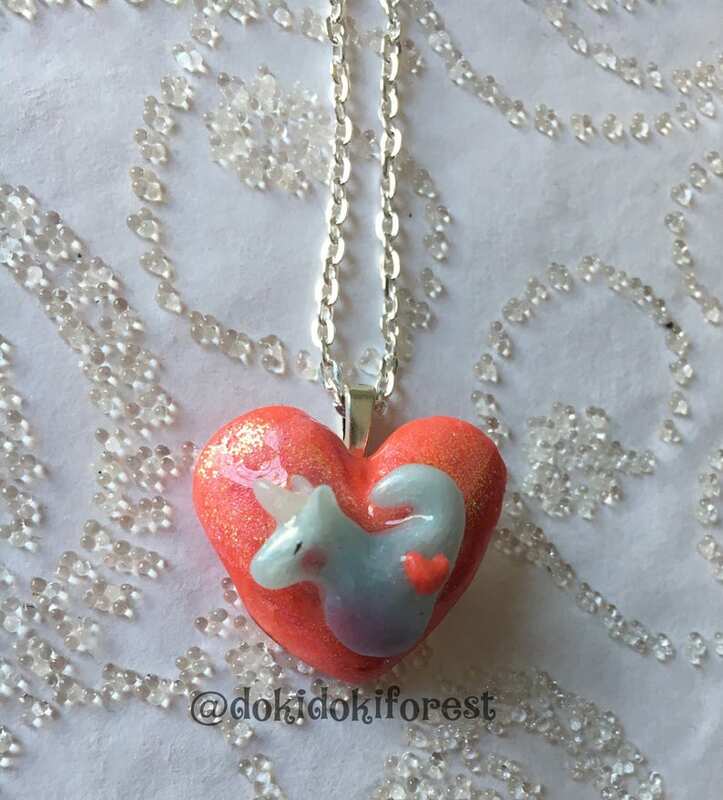 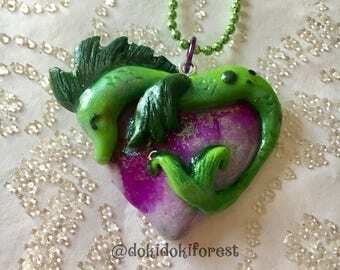 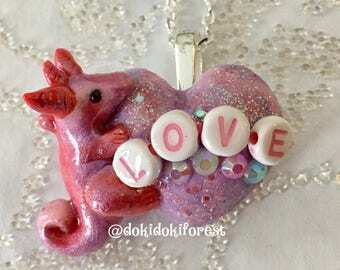 The heart and creature were created with polymer clay, detailed with pastels and glitter. 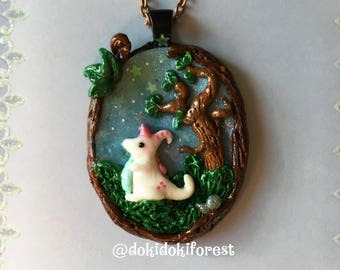 The entire creation was glazed with resin to make it shiny and more durable. 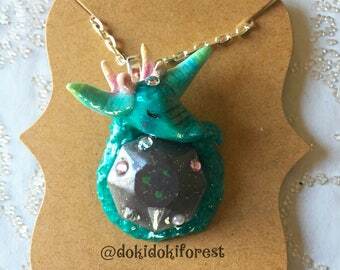 I have glued a silver leaf bail on the back of the pendant and it comes complete with 18" silver chain link necklace so you can wear this right away! 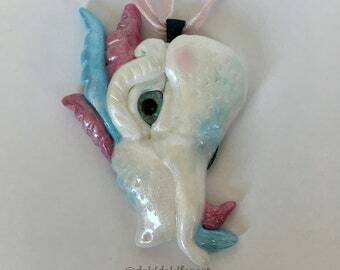 Measures about 1" tall and 1" wide. 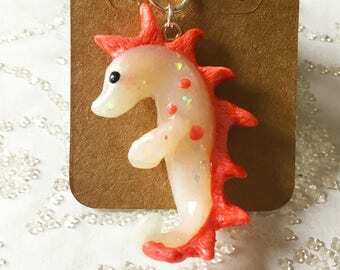 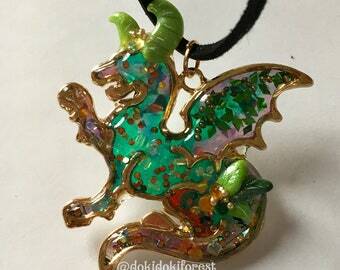 Please be sure to see the pictures so you can check the scale of the charm!